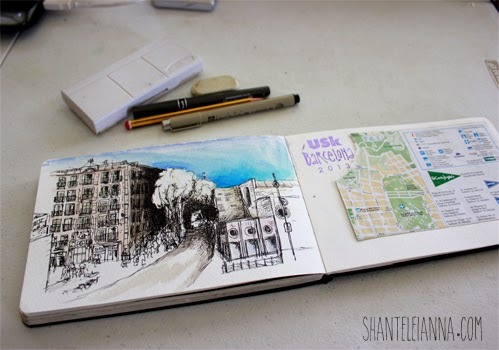 Hi my name is Shantele and I discovered urban sketching during a backpacking adventure in 2012. 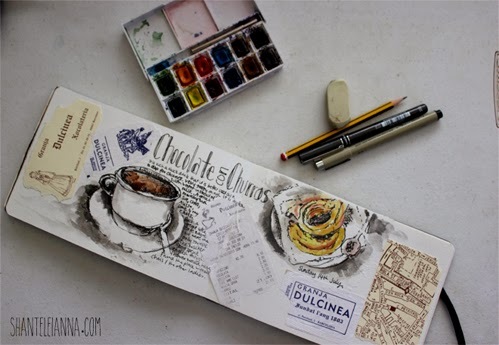 To be able to combine travelling and sketching was a great gift and has made my travelling experiences so much more enriching. 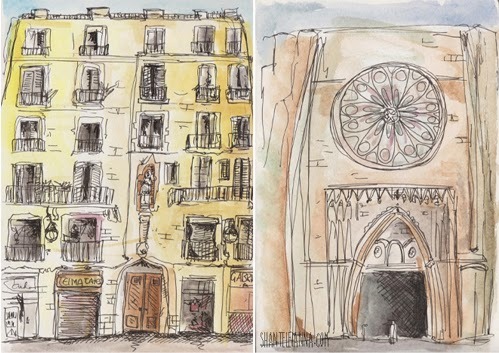 I was lucky enough to be able to attend the USK symposium in Barcelona in July 2013 and meet and sketch with so many of the talented artists that I follow online. The symposium was an amazing experience and at times overwhelming, I probably did the worst drawings that I have ever done but had the most fun doing them. Which makes sense given that the workshops are there to challenge you out of your comfort zone into using different materials and techniques, whilst drawing in public. I attended 5 workshops with some fantastic artists that I really admire. Some take home tips and messages from each workshops are outlined below. 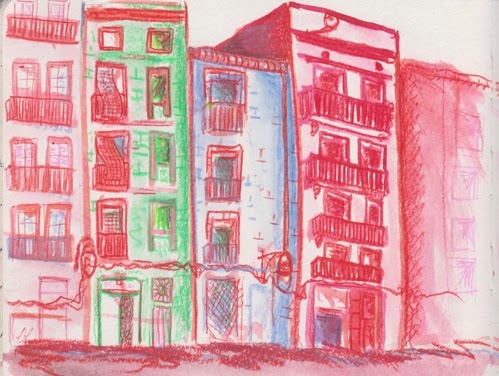 Inma Serrano - Buildings are like monsters and can have personalities as well and movement. Virginia Hein - to think of landscapes as blocks of shapes and try to look at the scene in terms of values to capture the lights and dark's. Luis Ruiz - to build a sketch from the center to the edges and start at the background objects and work towards the foreground. The symposium was a great way to see a different side of Barcelona from a local's perspective. I have learnt so much since the trip by putting the skills I learnt into practice. 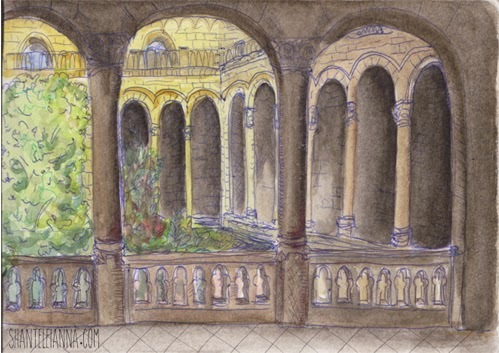 I continued to travel around Europe for 8 weeks after the symposium and kept a travel journal to document the trip. I have recently started a website and blog at www.shanteleianna.com and have been slowly adding posts from my sketchbook and previous holidays.